I think my first business trip was a success. I along with two co-workers flew up to Tennessee to gather some data for some of the simulators we are working on. 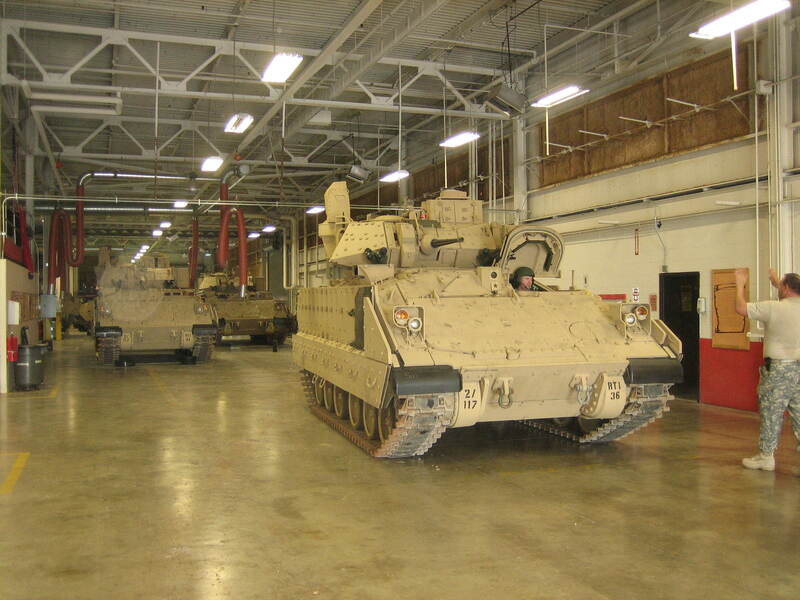 We spent a day each going over the M2 Bradley and the M1 Abrams at two different national guard bases. The M2 was completely unknown to me, so everything about it was new. We took a bunch of measurements and photos of new equipment on this particular version, especially the fields of view of all the different sights on the vehicle. My impressions of the vehicle is that damn, its cramped. And this is coming from a submariner. An M2 has a crew of 3, and carries 6 infantrymen as well crammed in behind the turret. There was barely enough room for me to sit on the benches in the back, and I didn’t have a helmet or body armor or anything on. Still, a pretty cool vehicle. The M1 was a whole other beast. Just starting it up was interesting. The M2 had a big -ol’ rumbling diesel; not the M1. This sucker has a gas turbine engine, basically a jet engine connected to a transmission. It has the coolest jet engine whine as it starts up. The inside is pretty cramped, but not as bad as the Bradley. It has a crew of 4, 3 of whom are in the turret. The coolest part was when I climbed down into the gunner’s seat and realized that it was laid-out exactly like our M1 simulator back in florida. I knew where all the controls were and how to operate them, so I felt right at home. I was of course grinning from ear to ear. The optics as well were fantastic. The optical sight has a 3x and a 10x setting, and both were crystal clear. There was one more bit that made the trip that much more pleasant. Chey also happened to be in Tennessee for work, and on Tuesday night we were able to meet up for dinner. Chey had been traveling for work a lot in the past few weeks, so she was a welcome sight for sore eyes. And to cap it all off, that night around midnight, we had a tornado warning and had to evacuate our room and go to an enclosed conference room on the first floor of the hotel. Exciting stuff! My first business trip, ever! So, I’ll be out of town this week until thursday. 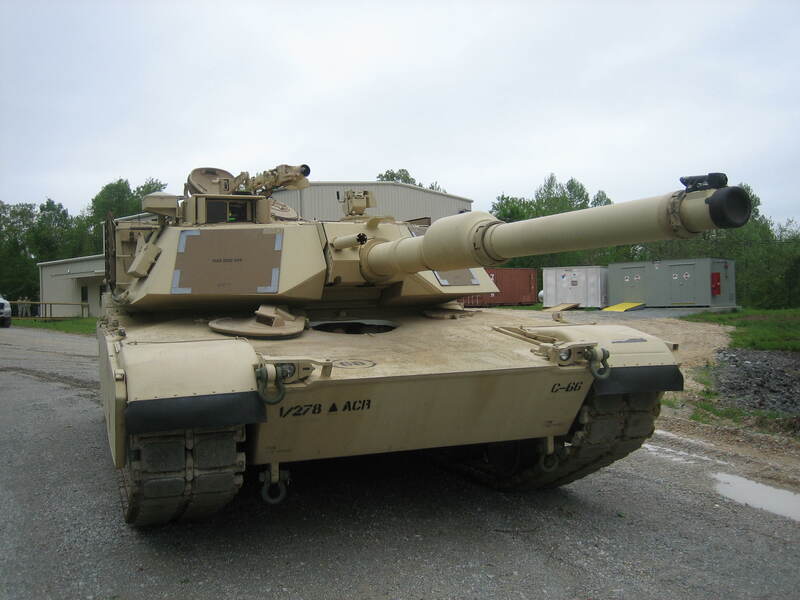 I get to go up to Tennessee and play around with some tanks for a while. I’m supposed to get answers to a bunch of questions, but mainly I’ll be looking to get some cool photos of me sitting in tanks. Also, my This I Believe series may have a few gaps, as I won’t be taking a laptop along to do any posting. Enjoy the quiet!